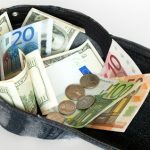 Online poker players in Nevada can now use payment processor Paypal to make deposits to and withdrawals from WSOP.com. Without great (any, really) fanfare, Caesars Interactive Entertainment’s Nevada-licensed WSOP.com site has added Paypal as a deposit option. iGaming Business was first to spot the change, and neither CIE nor Paypal has yet to make an official statement, although the WSOP.com site now includes Paypal in its list of acceptable payment methods. 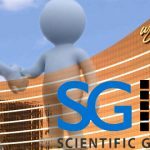 iGaming Business reported that CIE would be adding the Paypal option to its New Jersey-licensed online gambling sites – including WSOP.com, CaesarsCasino.com and HarrahsCasino.com – sometime next week. It’s unknown if 888 Holdings, CIE’s New Jersey platform partner, will debut its own Paypal option at the same time. The news will be welcomed by licensed operators in both states, who have had to deal with the big banks’ reluctance to process state-regulated online gambling transactions. Six months after New Jersey’s regulated online market went live, Mastercard was approving less than three-quarters of online gambling transactions in the state, while Visa was approving less than half and Amex wasn’t approving any. Paypal announced last year that it intended to return to the US online gambling market after years of refusing to process gambling transactions for fear of violating the 2006 Unlawful Internet Gambling Enforcement Act. 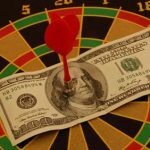 Optimal Payments’ Neteller brand stopped serving US gamblers in 2007 afer its former owners were arrested and forced to cough up $136m in penalties, but Neteller has also made its US return. It remains to be seen how much of an effect Paypal’s return will have. 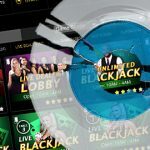 The poker-only market in Nevada had seen revenue sinking like a stone for months before state regulators stopped reporting revenue altogether following the closure of Ultimate Gaming, so progress will be difficult to measure. New Jersey’s much larger market will offer more insight into how much Paypal can move the needle.